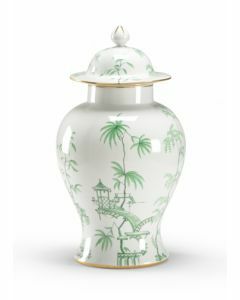 A modern interpretation of the classic tall temple jar. This gorgeous decorative piece features a translucent blue glaze and a top lid that conveniently lifts off to use with branches or flowers. This item measures 20"H x 8"Diameter. Click on images for greater detail.